Innate in the Cebuanos is the belief for miracles. It is not a surprise though because history will remind us that Cebu is the cradle of the Philippine Church and the seat of Christianity. So that, when miracles happen, it is natural for us to visit the place hoping to witness it ourselves. The fervent hope and prayer now by the Cebuanos this time is the beatification of a holy priest after documenting various testimonies by the people who had experienced the miracles in their lives. Maybe to some, building a shrine for him is their way of remembering his many good deeds during his lifetime. 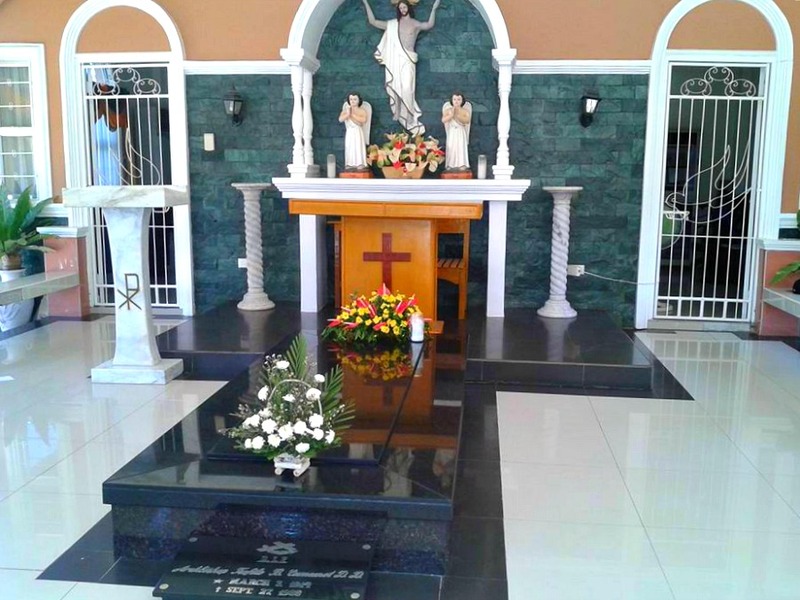 Born in Barangay Cogon, Carcar, Cebu, was a man fondly remembered by many to be a priest with a good heart. His name is Msgr. Teofilo Camomot. The Shrine of Archbishop Teofilo Camomot lies in Barangay Valladolid, Carcar, Cebu. This is maintained by the nuns of the Daughters of St. Teresa whose convent stands inside the compound. 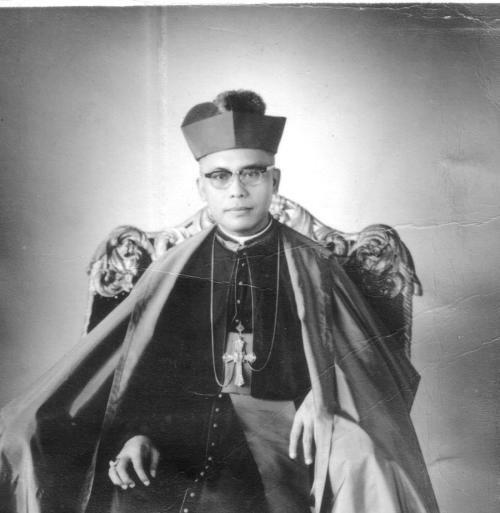 People, who sought the intercession of the good monsignor for the healing of their illnesses, such as breast cancer, salivary gland tumor, dengue fever, and to name a few, had their names carved on the trunk of each tree planted inside the area. This information is necessary to support the impending plea of the religious community for the beatification of the late monsignor. Upon entering the premises, the sight of the chapel meets the eyes of every pilgrim. And when you walk towards the back portion to the right, you can see his tomb laid in front of an altar under a covered structure. This is where people say their sincere prayers and plead for his intercession. Cushions are provided for by the sides of the tomb so that people can kneel or sit, and pray for a few minutes. One can feel his solemn presence once you kneel beside his tomb and touch it. It feels like talking to a father who just knows what you are there for. In the silence of your heart, you are able to pour out all your worries, anxieties and concerns with the assurance that someone is listening to you. A few steps towards the left portion from the entrance will lead you to the convent of the congregation he had organized. Then, at the back of the chapel and shrine, a vast tract of land is visible for one to say with certainty that something is going soon to rise in that area - a museum - as recently published in the papers that Archbishop Palma had the groundbreaking ceremony at the shrine. The nun, who had joined him in the congregation he founded the now Daughters of St. Teresa, relayed a story to this author that one time, the holy monsignor caught a thief climbing through the back window of the parish. Instead of admonishing the thief with the word of God, he told him to pass through the door the next time around to avoid from falling off and getting himself hurt. Another story has it that after he was waylaid by two robbers, he also gave his money and a pectoral cross. Msgr. Camomot had the gift of bilocation. Once, he appeared in two places at the same time. Even the retired Cardinal Vidal authenticated his presence at a meeting. Simultaneously, a woman said that he was also on a mountain in Carcar giving the last sacrament of a dying person. Another alleged gifts include his spiritual gifts of healing, reading one's heart, and levitation (source: wikipedia on Msgr Camomot). 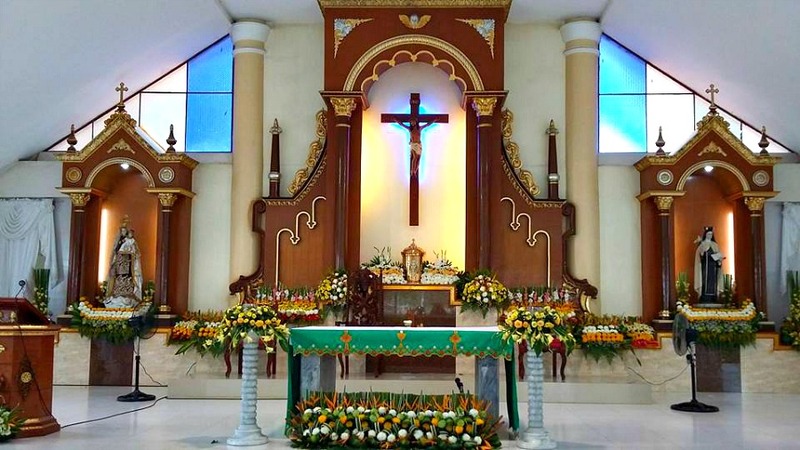 People pay their visits to Archbishop Teofilo Camomot Shrine primarily in hope of healing their physical illnesses, but unknowingly the Holy Spirit is also working in the minds and souls of the sick people preparing them for a complete surrender to God’s Holy Will, that is, the complete healing. God bless to all believers and may you find healing in mind, spirit and body.